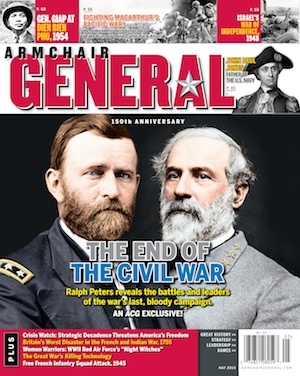 A Casualty of War | Armchair General Magazine - We Put YOU in Command! During World War II the United States lost an estimated 291,557 killed in action. Another 113,842 are thought to have died for other reasons than combat. With such staggering statistics, it’s not surprising that few American families emerged unaffected in some way by the war. My wife’s family was no exception. Like millions of other young Americans who served in World War II, her uncle was a member of the Army Air Corps. His name was Corporal Shirley Barton Eldridge, and he served as an airplane mechanic in the 349th Bomber Squadron, 100th Bomber Group, Heavy (nicknamed “The Bloody Hundredth”). The unit was part of the Eighth Air Force and flew B-17 bombers, based at the East Anglian town of Thorpe Abbotts, Norfolk. “Bloody” was an apt word to describe the sacrifices made by the courageous airmen of the 100th Bomber Group who flew daily missions over Nazi Occupied Europe and suffered very heavy losses of aircraft and crews. Corporal Eldridge was one of those who never came home. Like most casualties in war, the circumstances surrounding the death on July 17, 1943 of thirty-one year old Shirley Barton Eldridge (named for his father and nicknamed “Bunny”), is unclear. The family knew that he was briefly trained as an aircraft mechanic and also had had some additional instruction from Boeing Aircraft in Seattle before being shipped overseas and joining the 349th Squadron. The 349th had only been operational in England about a month when Corporal Eldridge was killed. His death was apparently accidental. The usual method of notification during the war was a telegram to the next of kin from the War Department, announcing the death of the serviceman or woman. A brief article about Corporal Eldridge’s death appeared in the local newspaper in Walpole, Massachusetts but nothing more has ever been learned about his accident or how it occurred, although the family always believed he was killed by an aircraft propeller. In 2006, while I was researching Warlord, my biography of Winston Churchill’s military life, my travels brought me to the archives of Churchill College, in Cambridge, England. Occasionally, my wife and I had talked about her uncle, and when I asked where he was buried she said it was in the American military cemetery in Cambridge. Some research prior to my trip revealed that the cemetery was situated less than a mile from Churchill College. I arrived in England determined to find time in my schedule to visit his grave. Before boarding a train to visit friends in Yorkshire after completing my last day of research, I left my luggage with the college porter and summoned a taxi to take me to the cemetery. The deputy superintendent was the only cemetery official on duty that afternoon and, because my time was somewhat limited, it was fortunate there were no other visitors with whom he had to deal before assisting me. I told him of the purpose of my visit, but when I gave him Corporal Eldridge’s name, it failed to show on his computer. This was the first UK trip that I had a cell phone, so I immediately called my wife, and thankfully she was home to verify the right order of his name, which it turns out, was wrong. With the location of his grave resolved, the deputy superintendent asked if I’d like to have a photo of his gravestone, and having no camera with me, readily agreed. After a few minutes he emerged from a storage area of the visitor’s center with a camera and a bucket containing wet sand. We found Corporal Eldridge’s white marble cross in Plot C Row 4 Grave 14, one of the 3,812 that comprise the only permanent American military cemetery in the United Kingdom. The cemetery is also the final resting place of 128 other members of the 100th Bomb Group. The deputy superintendent explained the reason for the sand (specially imported every few months from Omaha Beach, Normandy) is that it is rubbed into the engravings on the cross so that its beige color will enhance Corporal Eldridge’s name, rank and date of death. It was suggested that I spend the next half-hour or so on my own while the photograph was developed and printed. As I stood in silent contemplation at the grave of a man neither my wife nor I had ever known, I thanked him for his service and hoped that the end of his life had been mercifully painless. Spend some time among the graves of those who have served this nation and you come away with an almost overwhelming sense of sadness at the futility of war that brought these men to this place of honor, here to lie for eternity as comrades. Those who glamorize war should instead visit Cambridge, and other burial grounds like it, where the realities of the cost of war are forever manifest. During World War II, as indeed is the case in all wars, there are a great many who are lost and are never found. Within the cemetery, adjacent to a reflecting pool, is a large, very long wall called The Tablet of the Missing. Among the 5,127 names inscribed here are those of famed bandleader Alton Glenn Miller, and Joseph P. Kennedy, Jr., a pilot, and the older brother of a future president, both of whom were lost over the English Channel and never found. After strolling through the cemetery and stopping from time to time to read the inscriptions on a number of crosses and several of the eighty Stars of David, I visited the Tablet of the Missing, and the memorial building, before returning to the visitor center where the deputy superintendent presented me with a package containing a photograph of Corporal Eldridge’s grave, a British and American flag, each attached to a small wooden stick, and an information booklet about the cemetery. I left deeply appreciative of the gesture and the assistance rendered during my visit. It is what the men and women of the American Battle Monuments Commission (ABMC) do – and do exceptionally well each and every day of the year except Christmas and New Year’s. In this age of wasteful government spending and interminable wrangling by clueless politicians, the ABMC stands out for its efficiency and its commitment to honoring those buried or memorialized at their twenty-five permanent cemeteries outside the United States and their twenty-six memorials, markers and monuments. “Bunny” Eldridge was one of a great many Americans to die of non-combat causes during World War II. His death may not have been heroic but it was nevertheless just as sad and as much of a sacrifice as that of those killed in combat. Before leaving the site of his grave at Cambridge, I said a quiet prayer for his eternal soul, and though a bit out practice, rendered a salute to honor his service to America. What a touchimg story, thank you for sharing it. From a ‘Limey’, Leicestershire, England. I think that as a child growing up in post war England I never really appreciated the sacrifice that America made in defending Britain and the defeat of Nazi Germany. Much of our perceptions of America and Americans were negative. It is only after spending years in the British Army and reading such excellent books, particularly by Carlo D’Este, my opinions have changed. Britain could never have won the war without America. I often wonder why America came into the war when many of its citizens left Europe to get away from European politics.A great number of US Servicemen had German or Italian heritage. Fantastic piece , I was fascinated by the information . Does anyone know if my company might be able to get a blank a form example to use ?